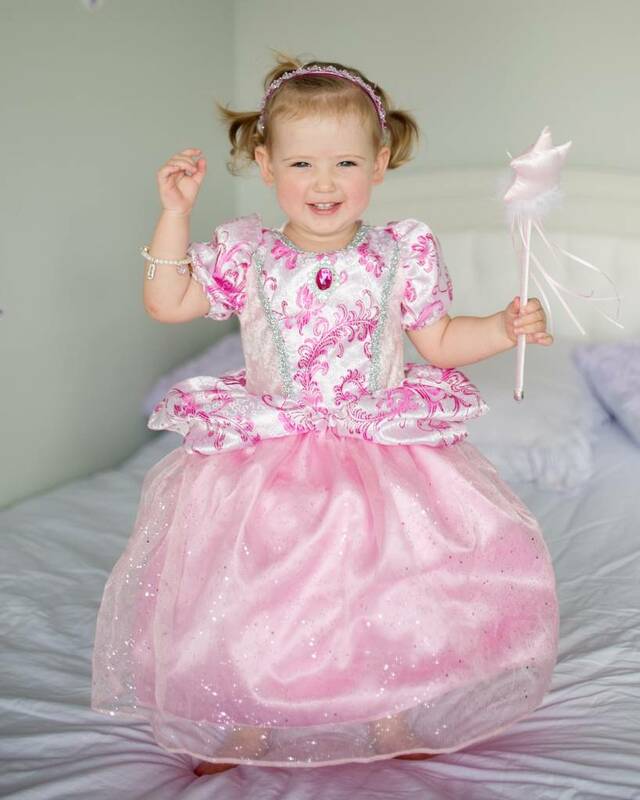 A magnificent dress for little princess twirls at the ball! 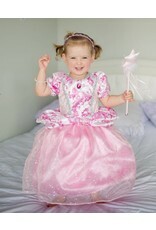 Your little one will be pretty in pink with a layered glitter tulle skirt and double hoop for extra fullness. The luxurious pink damask bodice is trimmed with silver detailing and features puffed sleeves and a peplum for added elegance. Finished with an eye-catching faux pink jewel at the neck. Faux hot pink jewel at the neck. Great Pretenders dress-up clothing is designed to be size flexible and comfortable. As your child grows, their products grow with them.